I haven’t posted much over the last few months here at Money Wise Pastor because I jumped into an opportunity in May to launch a new campus for our church in a neighboring community. It’s been a ton of work over the summer and it didn’t leave me with much time or energy for financial writing. But it’s also been extremely rewarding. The campus launched on October 6, and now life is settling into my new “normal” of being the campus pastor of this new church venue. I hope to get back to writing more personal finance articles from a Christian perspective as time goes on. Earlier this year, I signed up to host the Yakezie Carnival on my blog…and today is my day to do it…giving me the opportunity to share some of the best money blog posts on the web. Thanks to everyone who submitted their posts…and thanks to you for reading! Don @ MoneySmartGuides writes 7 Life Lessons From The Very Wealthy – If you want to become wealthy, you need to learn life lessons from the very wealthy. KK @ Student Debt Survivor writes Bachelor’s Degrees With the Best ROI – Trying to chose a degree that will make you the “big bucks?” With the cost of college tuition rising yearly, it’s imporant to choose a bachelor’s degrees that will yield you a decent ROI. Edward Antrobus @ Edward Antrobus writes Swagbucks is More than Just Getting Paid to Search – Swagbucks pays you for searching the web, but they are more than just that. Find out other ways to earn swagbucks to redeem for gift cards and more! Christine @ MLIQ101 writes How Much Life Insurance Should I Have? – A majority of Americans appreciate the importance of buying life insurance, but a fraction actually own a policy outside of their benefits package at work. There are dozens of factors to consider when choosing how much life insurance you need to buy. Here’s how to pick the right amount of coverage. IMB @ Investing Money writes Investing in Specialty Drug Companies – The Pew Research Center estimates that 10,000 boomers will retire daily for the next 19 YEARS! The place to be is in the drug and health care field. Roger the Amateur Financier @ The Amateur Financier writes 7 Ways to Succeed in a Virtual Career Fair – A guide to ways you can succeed in virtual job careers, giving advice on finding them, preparing, attending, and following up on the jobs you look into. Ted Jenkin @ Your Smart Money Moves writes Five Insurance Policies Every Small Business Owner Needs – This is the weekend you finally decided it’s time to start your own business. Rich @ Growing Money Smart writes Allowance Pay Rates For Kids – This is my take on allowance pay rates for kids and the rates that I currently pay my kids. Once the become teenagers, I may change the pay rate though, but for now, they are happy. CAPI @ Creating a Passive Income writes Better To Be Safe: Setting Up An Emergency Fund – It’s important to ensure that families are constantly working to purchase only what they need, while setting aside an emergency fund for all possibilities. Daisy @ Suburban Finance writes Would You Have a Secret Bank Account From Your Spouse? – Hiding money from a spouse can be a practice that is considered bad, but sometimes hiding money from your husband or wife can be helpful. Lauren @ L Bee and the Money Tree writes Aligning Financial Goals in a Relationship – Find out what your financial goals in a relationship should be and how to align them. ETZ25 @ Entertainment Timez writes A Dividend Stream For Entertainment – We decided to create a dividend stream for Entertainment Timez. The dividend stream will help fund the entertainment activities here! Hank @ Money Q&A writes What To Know Before You Invest In A Rental Property – When you invest in a rental property, it can be a great investment. But, you need to spend a bit of time thinking about these issues to make sure everything goes according to plan. SBB @ Simple Budget Blog writes Budgeting for Retirement Sooner Rather Than Later – Why budgeting for your eventual retirement needs to be done now instead of at a later date. Corey @ 20s Finances writes How to Grocery Shop – If you are interested in learning how to cook, then you are going to need to know how to grocery shop. You might be thinking that grocery shopping is rather easy to do. The actual task of grocery shopping is easy, but I am going to show you how to grocery shop and make it worth your money. Brent @ PersonalFinance-Tips writes Several steps toward improving your personal finance – Earning money today can be a complicated and a hard thing to do. We all blame it on the failing economy of the world, but it can’t always be just that. Great minds had said that you should always start from yourself, anytime you have a problem. Luke @ Learn Bonds writes Rethinking the United States ‘AAA’ Rating – Does the US still deserve a AAA credit rating? Lindy @ Minting Nickels writes Try This Technique to Save on College Costs – Imagine graduating college in 2.5 or 3 years instead of the typical 4 to 6 years that most students take to graduate. Kyle @ The Penny Hoarder writes You Can Actually Make Money by Hoarding Real Pennies… – Whenever I research a post for this site, I usually have a lot of fun zooming around the Internet looking for the wackiest, strangest ways people can make money. Jester @ The Ultimate Juggle writes The Importance of Family – Learn more about how career-minded people can place a huge importance on family. Don @ Money Reasons writes Pros and Cons of Automation – Automation is great for business processes but very bad for workers. Cat Alford @ Budget Blonde writes All Your Twin & Pregnancy Questions Answered! 🙂 – First of all, I feel like I have to keep saying thanks to all of you. It’s probably the hormones, but I’m feeling extra grateful for my online community. I may or may not have cried reading all of your sweet comments last week. Thank you for taking the time to write them. Debt Guru @ Debt Free Blog writes The Next Step: Is Graduate School Worth It? – More and more grads are looking for that edge that will land them a dream job. Asking “Is Graduate School Worth It?” is important in making your next move. Crystal @ Married (with Debt) writes Trending Downward – I was reviewing my family’s medical expenses the other day and was happy to find that our medical expenses have been coming in lower this year. Cindy @ MidLife Finance writes ‘Foolproof’ Numbers: Can You Trust Them? – The question you should be asking yourself is: ‘what can we comfortably afford?’ That’s what you want to borrow. Not a penny more. mortgage. Tushar @ Earn More and Save writes Supercharged Savings: 5 Purchases to Make in the Fall Season – The pumpkins are out, the leaves are falling, and the weather is cooling. Fall is in the air. Fall is a beautiful season and also the start of the holiday rush. Halloween is quickly approaching with Thanksgiving and Christmas following close behind. Make the following purchases for the rest of the year! Wayne @ Young Family Finance writes The New Job Search: Where to Find the Job of Your Dreams – Facing the unemployment dilemma? Maybe you’re just sick of your current job. No fear – here’s where online to find and apply for a new job. Eva Baker @ TeensGotCents writes Skin Care Tips For Teens – Noreen Young Cosmetics – Professional advice and skin care tips for teens as well as how to save money on cosmetic products from Noreen Young, professional make-up artist. Bargain Babe @ BargainBabe.com writes Jealousy: My Friend Has Her Dream Job, I Don’t – Jealousy: My Friend Has Her Dream Job, I Don’t offers tips on saving money every day. Suba @ Broke Professionals writes What is Your Wastefulness Pet Peeve? – Recently I held my annual Grandma Rie’s Money Camp for my two grandchildren. This year, I invited their other grandma along with one of her grandchildren (my grandchildren’s cousin). Tushar @ Start Investing Money writes What Will the Short and Long Term Outlook Be for Twitter Shares? – If you know anything at all about Twitter you’ll undoubtedly have heard about its forthcoming stock exchange debut. Jacob @ AllPersonalFinance writes Follow Your Dreams: How to Achieve Higher Education Without the Cost – So you have decided that you would like to pursue getting a master’s degree. However, what scares you the most is the amount of education debt you’d have to take out just to get another degree. SFB @ Simple Finance Blog writes Questions that First Time Home Buyer Should Ask – You may have found yourself ready to buy your first home and may have even discovered your dream home. Tushar Mathur @ Everything Finance writes My Tips for Saving for A New Baby (Or Two!) – Saving for a new baby (or two) is definitely a life altering process. However, it’s not impossible. Here’s how I’m doing it. Ryan @ Cash Money Life writes How Much Did the Great Recession Cost You? – Do you know how much the Great Recession cost you? A recent study calculates average family losses, including home value, lost wages, investments, and more. Emily @ Evolving Personal Finance writes Blog Statistics Update September – October 2013 – Another month of falling traffic and rising comments! Which do you prefer? Kurt @ Money Counselor @ Money Counselor writes A Chat With Frugal Rules Founder John Schmoll Jr. – Ex-security industry insider John Schmoll Jr ran up a load of debt then paid it off. He launched the blog Frugal Rules to help boost financial literacy. Steve @ 2011 to 2013 Tax writes A Look At The 2014 Tax Deadline – Like most years, the tax deadline for 2014 falls on April 15. Failure to file federal income taxes by this date results in penalties. Most people seek to avoid these financial penalties and get their taxes in on time. Oscar @ Money is the Root writes The facts about Socially Responsible Investing – Socially responsible investors care more about the impact of their investments then the actual money that their investment will make. Jay @ Daily Fuel Economy Tip writes Your Fuel Economy Cheat Sheet – One of the most important influencing factors for gas mileage is the one that is completely different from automobile to automobile; the driver. Danielle @ Saving Without a Budget writes Tips for Creating an Engaging and Profitable Website – Having a website is definitely a must-have business tool today. The problem is that most business website owners do not really have a clue as to how to optimize their website and, more importantly, make it profitable. Matt @ Budget Snob writes What kind of Debt is the Worst? – We all know that carrying any kind of debt is not exactly a good thing but is there actually a wost kind of debt to carry? Jack @ Money Saving Ethics writes 5 Things You Shouldn’t Look for in Your New Home – One of the most important aspects is to actually find the right house for you, something that can be exceedingly difficult for first-time buyers who do not have the experience of knowing exactly what they want. Amy @ Money Mishaps writes Airline Fees That Might Actually Be Worth Paying For – While most people are loathe to pay anything extra when traveling by plane, especially considering that it is so darned expensive already, there are actually a few extras that might be worth paying for. Lenny @ Best Money Saving Blog writes How to Figure Out your Credit Score – The average person has a very basic idea about their Credit Score. It is either great, good or bad. But what exactly does your Credit Score really mean? Hadley @ Epic Finances writes An Excellent ETF fund: Vanguard Dividend Appreciation – If you are looking for a great vehicle to meet some of your financial goals, the Vanguard Dividend Appreciation (NYSEARCA: VIG) exchange traded fund (ETF) is definitely one you should consider. Andrea @ So Over This writes The Movers Destroyed My Belongings! – My wife and I just went through the process of moving, twice within a 4 month span. We hired the same movers both times, and thought we had received good service the first time around. Lily @ Paying Debt Down writes The Best Car Price Negotiation Tips – The average person absolutely dreads purchasing a new car for one simple reason; negotiating for the price. Successfully negotiating an excellent price on a new car entails some research, commitment, the right attitude and more than a little bit of patience. Bob @ Dwindling Debt writes Can you Really Go Contract Free with your Smart Phone? – Today there are plenty of options that you can take advantage of once your current phone contract has expired. Katie @ IRA Basics writes What Does Business Capitalisation Mean? – A phrase often seen in business-related publication is that of business capital or business capitalisation. What does that mean? Sam @ The New Business Blog writes Entrepreneur Tips on Using LinkedIn from the Pros – Here are several tips and some great advice that successful entrepreneurs use to get lots more eyes in front of your content. Marissa @ Finance Triggers writes Saving Money on Gluten Free Products – Gluten is wreaking havoc on diets these days. Most people think that this is a new trendy diet, and while it is not really a new ailment, but one that has been plaguing people for years. Marissa @ Thirty Six Months writes Barbados Luxury on a Budget – Many people consider budget and luxury to be at opposing ends of a financial spectrum. This is not necessarily always the case. Monica @ Monica On Money writes $25 Giveaway & I Still Want A Cheaper iPhone Plan – $100 Per Month For An iPhone Is Not Frugal! My 2 year long contract with AT&T FINALLY ended this week! So I am excited to find a new (cheaper) cell phone plan and start saving some money! Holly @ Club Thrifty writes Working at Home: Pros and Cons – Ever since I quit my job to work from home, people have asked me if it is as awesome as it sounds. Barbara Friedberg @ Barbara Friedberg Personal Finance writes Diversification Strategy: How To Figure Out My Risk Tolerance – There are many risk tolerance quizzes online, all promising to tell you how much volatility you can tolerate. The truth is no one cares when their portfolio value increases. The only risk we worry about is the decline in value! Natalie @ Debt and the Girl writes Finding Alternatives for Buying a Big House – Tthere has been a recent movement lately in buying smaller homes. Some people have gotten even more creative and have built homes out of structures like caves, storage sheds, and even cars! It may seem unbelievable but it is true. Alexa @ Single Moms Income writes Health Care Reform: A Single Moms Perspective on Obamacare – Obamacare does not exactly have everyone jumping for joy. Some are for it. Some are against it. And many do not even understand it. Alexa @ Defeat Our Debt writes Are These 3 Things Preventing You From Becoming Debt Free? – The journey to paying off debt can often be a long one. Depending on the amount of debt you have it could take months, or even years, to pay it back. And, paying off debt comes with its fair share of struggles. FI Pilgrim @ FI Journey writes Get More Done: A Few Favorite Productivity Methods – We could all use some extra time in the day. Here is a list of a few of my favorite productivity methods that help me to get more done! Robert @ The College Investor writes Will Steel Stocks Continue Rising? – The Great Recession was devastating to the steel and iron industry. The rallying American real estate market has also been much-needed good news for these and other companies in the group. But the bull market for steel and iron stocks still stops and starts in Asia. Robert @ Entrepreneurship Life writes Take Your Business to the Next Level with Amazing Service – Last year, a customer signed a contract to one of my companies for a service that was cancelled last minute. When he cancelled, he offered to pay the entire contract amount, but I let him off with just the deposit. Why? Because that’s good service. Christopher @ This That and The MBA writes What to look for in an online trading platform – Now days when you go to start doing something new that you do not have real any knowledge doing you sometimes resort to Google searches. Don’t worry we have all done it and it is the beauty of the technology age. Robert @ Kids Ain’t Cheap writes Planning a Frugal Family Feast – Depending on where you live putting together a family feast can get very expensive. By the time you factor in meat prices, dessert and all the fixings, costs add up quickly! Today we will talk about how you can have a family feast without breaking the bank! Adam @ Money Bulldog writes Shopping with Kids: How Not to Let It Ruin Your Life and Budget – Dealing with kids during errands can be a difficult task sometimes but here are some ideas on how to manage through those days. Adam @ Money Rebound writes Is Downsizing to a Simpler Life Possible? – Using the unexpected economic changes to improve your life in many different aspects. Dollar @ Easy Extra Dollar writes 5 Tips For Choosing An Affiliate Program – One of the most popular and successful ways to make money online is with affiliate programs. Also called referral programs, affiliate marketing programs are commission based contracts. The concept is simple. When you send a surfer to a merchants website, you will earn a commission based on what that surfer spends on their site. Jessica Moorhouse @ Mo’ Money Mo’ Houses writes For Love & Money Friday – Making a Budget as a Couple – Every Friday my husband and I get together to talk money, and this week we discuss budgets, specifically creating a joint budget for both of us to use to reach our mutual financial goals. Justin @ Root of Good @ Root of Good writes $150,000 Income, $150 Income Tax – Justin at Root of Good reveals how his household made $150,000 and paid only $150 in income taxes through a combination of contributions to workplace savings plans and IRA’s. Tax efficient investing and tax loss harvesting also played a key role in keeping his income taxes at 0.1%. Jon Haver @ Pay My Student Loans writes Grants to Pay Off Student Loans – So you’re a student at an institution of higher learning, and it is expensive. Naturally, you’re looking for forms of financial aid to relieve some of your monetary burdens. There are three main forms that financial aid can take: loans, work-study jobs, and grants. John @ Frugal Rules writes Reasons Why You Should Start Investing for the Long Run – Many people want to go for the quick buck when it comes to investing. However, a long term approach in generally best if you’re looking to build wealth and grow a decent retirement portfolio that will last. Money Beagle @ Money Beagle writes Waived Cell Phone Activation Fees Are Harder To Come By – Even if you stay with your carrier, be prepared to get socked with more fees when you get your new phone. Richard Adams @ Frugality Magazine writes 5 Easy Ways To Save Money When Shopping Online – Follow these five sneaky tricks for saving money when shopping online. Matt Becker @ Mom and Dad Money writes What is Net Worth and Why is it Important? – The dominant message in our society says that income is the primary measure of wealth. This is silly talk. Income can certainly help you become wealthy, but true financial wealth is measured by your net worth. Let’s take a look at exactly what net worth is and why it’s so important to your financial goals. Andrew @ Living Rich Cheaply writes Why Aren’t You Saving for Retirement? – It’s National Save for Retirement Week? Here is a list of excuses people use as to why they aren’t saving for retirement and an explanation as to why they are not good reasons. Brian Fourman @ Luke1428 writes How Couples Can End the Money Fights – Tired of the money fights in your relationship? It will take some willingness to communicate about goals, values and feelings to set your relationship right again. Sustainable PF @ Sustainable Personal Finance writes Adopting Minimalist Principles to Save Money and Live Sustainability – Congratulations! You have just finished paying for a wedding, which means you just spent the equivalent of a home down payment or a year of college on a single day. Now that the wedding’s all taken care of, your major expenses are over, right? Little House @ Little House in the Valley writes Random Map Today: Most Popular Baby Name by State (Girls Only) – I came across this interactive infographic of number one most popular girl’s baby names state by state, decade by decade, and thought it would make for an interesting topic. Harry Campbell @ Your PF Pro writes I Finally Filled Up My Lending Club Roth IRA – It seems like years ago that I wrote my two part series on opening a Lending Club Roth IRA and how to invest it. It was actually only 5 months ago, but it marked my first major investment into peer to peer lending. I was convinced to make a larger investment because my experimental account of $500 was still above 10% returns after two years. That gave me the confidence to put $5,000 into my LC Roth IRA for 2013 with another $5k on the way next year(in 2014). Pauline @ Make Money Your Way writes Make money renting your car or vehicle – This post will show you on how to make money by renting your car or vehicle. Leonard Carter @ The Wallet Doctor writes The Right and Wrong Way to Refinance – People tend to use their homes as credit cards when they need extra money, and aren’t always refinancing in a way that will get them the best long-term results. I’ve written about the right and wrong way to refinance your home. Mr. CBB @ Canadian Budget Binder writes Budget Smarts- eating right for a healthy life – Eating well doesn’t have to break your budget nor does eating healthy mean you have to create meals with ingredients you just don’t understand. Learn some substitutions for common foods and how you too can eat well on less. PK @ Don’t Quit Your Day Job… writes How Much Do People Save, by Income? – This post uses savings rates calculated from Consumer Expenditure survey data to magically create a graph and a calculator. Here is how our peers in the United States saved in 2012! Jacob @ Cash Cow Couple writes American Express High Yield Savings Account Review – If you’re tired of earning zero interest from your checking account, check out this American Express High Yield Savings Account Review for a better option. Anton Ivanov @ Dreams Cash True writes Money Saving Tips – Taking Advantage of Credit Card Rewards – Credit card rewards are a great way to get extra money or other cool perks. Learn how to take advantage of your credit card rewards program. The Yakezie Carnival is brought to you to by the network of personal finance bloggers of the Yakezie. You can submit articles at Blogger Carnivals. Thanks for including my chat wit John Schmoll, much appreciated! Thanks so much for hosting and for including me, I really appreciate it! Congrats on the new campus. Ahh the beauty of a financial blog carnival. 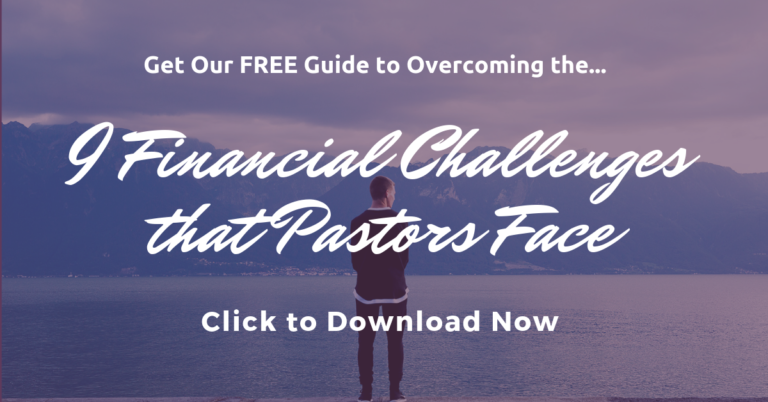 On a different note I am wondering what resources you are using to teach good financial stewardship to people in your church community? We have used FPU at our church (I work as a full time youth pastor) but am wondering what else you might recommend? Thanks and good luck with life and ministry.